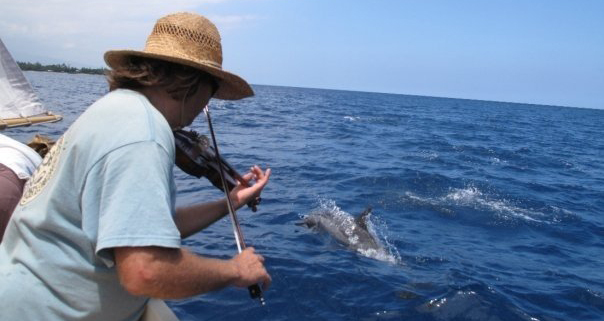 Nelson playing fiddle with the bottlenose dolphins off the coast of Big Island, Hawaii. Nelson Denman is a cultural arts ecologist. He attended St. John’s College (B.A.) and Harvard University (M.Ed.) He is a founder of the Santa Fe Green Party/ NMGP, composer bandleader for All Species Project, was on the Executive Committee of the northern New Mexico chapter of the Sierra Club. He has taught Deep Ecology, Permaculture and Ecological Design, as well as music to students of all levels, from primary school to university and beyond. 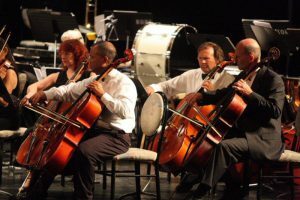 He presently is living in Hawaii, where he plays cello in the Kamuela Philharmonic, the University of Hawaii, Hilo Symphony, and performs and teaches guitar, bass, violin and cello in Hawaii, Santa Fe, nationally and internationally..
Nelson’s musical “The Healing Island” was chosen as an art project of the North Kohala Community Resource Center. He is also the recipient of the St. John’s Award for “Outstanding Contribution to the College Community.” His essay, “The Greening of Harvard” was chosen to be delivered at the First International Greening of the Campus Conference at Ball State University, Muncie, Indiana. Nelson has taught Permaculture locally, nationally and internationally. Nelson has collaborated musically with Paul Winter, Larry Littlebird, Peter Kater, Robert Sequoia, Consuelo Luz, Richard Russell and many others. He plays cello on the CD of the World Premiere of Voyages by Paul Cisze. He has completed 2 CDs of music: Earth Doctor, The Chakra Mode Cycle, and is working on Slack Key Cello. Nelson is also a photographer/journalist for the Kohala Mountain News in Hawaii. Nelson has traveled to Tibet with Roshi Joan Halifax as part of Upaya Zen Center’s Nomad’s clinics, and played during the medical sessions. He has been a guest musician for Santa Fe’s Outside In on the Plaza as well as in elder communities. He enjoys performing in hospitals, schools and retirement homes, bringing music and joy to people that don’t have an easy access to the healing power of music. 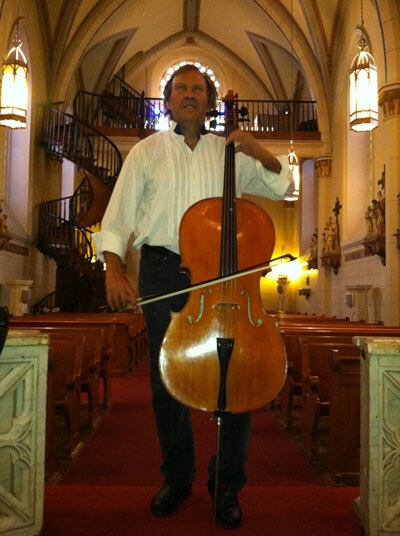 Nelson, I have loved your cello music twice at Upaya. It is such an unexpected treat and joy when you appear…then we settle into quietness…and only the haunting, resonate sound of your cello fills the zendo. If it weren’t so real, I’d say it was magic! Now that I found your website (thanks to today’s regular, automated google search that pops up with info on Roshi Joan), I know more about the wider range of your work. I am currently the editor of Upaya’s eNews and would love to put something in the newsletter about you and your work. I’ll search your website, but if you think of anything in particular that would be good to use, let me know. The “blurb” that came up on the search was about your playing for the Nomad clinic at some point. What a joy to know and to help all the people involved in that endeavor – both those serving and being served. They have the beauty of your sounds in their memories!